This weekend has been another fantastic crafty weekend with my MOH whom from now on has the title of The Best MOH Ever! 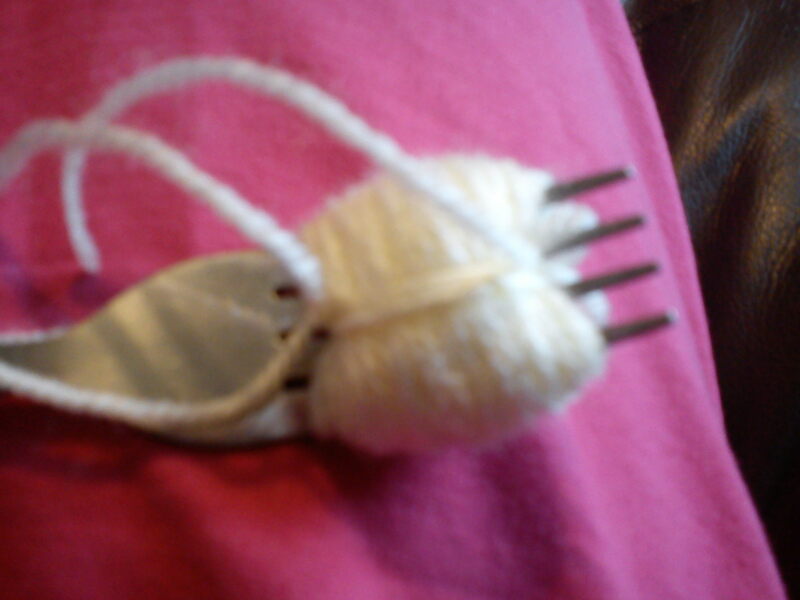 Last week a friend of mine told me about using a kitchen fork to make pom poms with. I was told that this way would make lovely little pom poms much quicker than the cardboard circle route. This sounded good to me so I was very keen to try this method out. 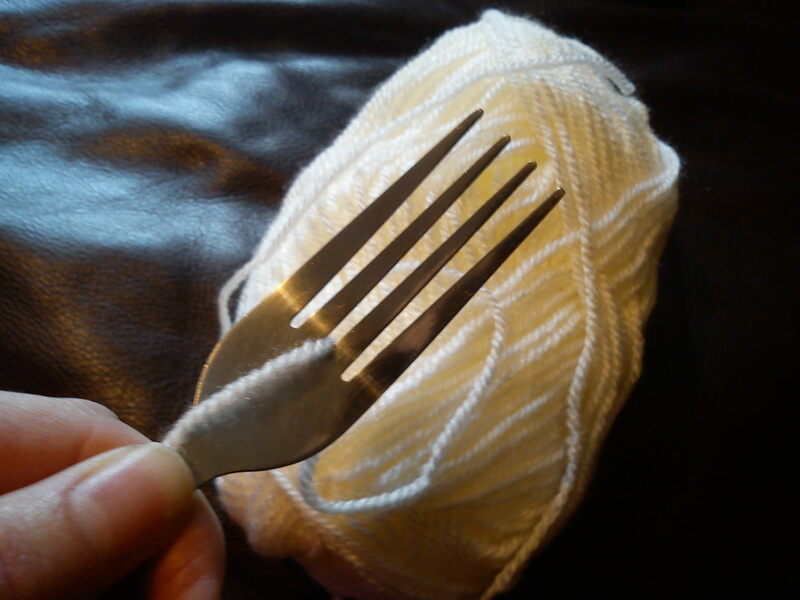 You then have to start winding the wool around the fork. My MOH and I found 150 twists is perfect. 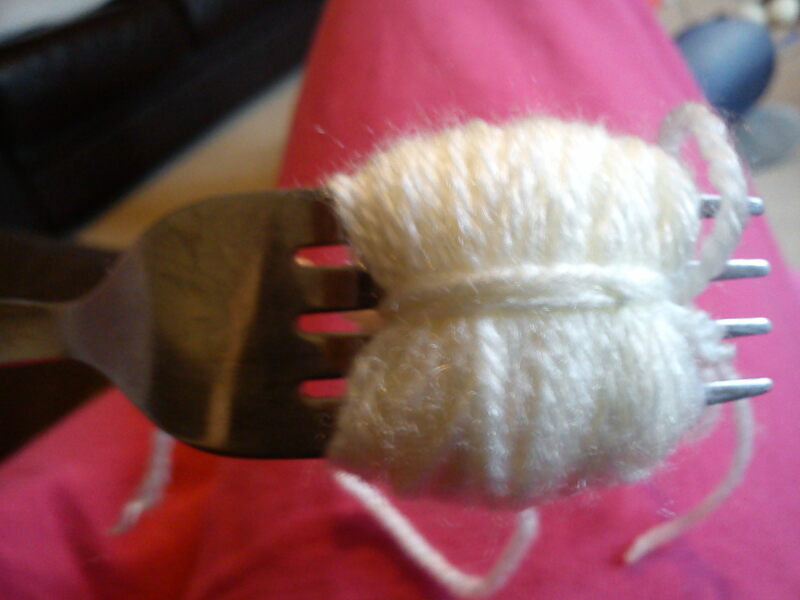 Once you have done your 150 twists, keep the wool on the fork while you tie the rounds of wool as below. This tie will not be tight enough to ensure that your pom pom will not fall apart, but it will keep to together enough to take the pom pom off the fork. 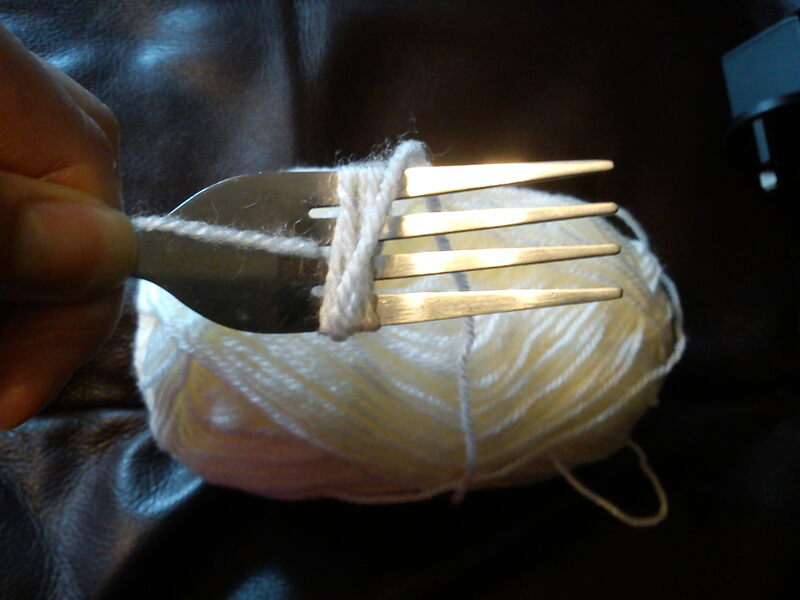 Make sure it tie it as tight as you can once you have have it off of the fork as this will ensure that it doesn’t fall apart and is sturdy enough to do with it what you want to do. Once you have tied the pom pom you can then wiggle it off of the fork, and snip the hoops on each side to cut it into a pom pom shape. 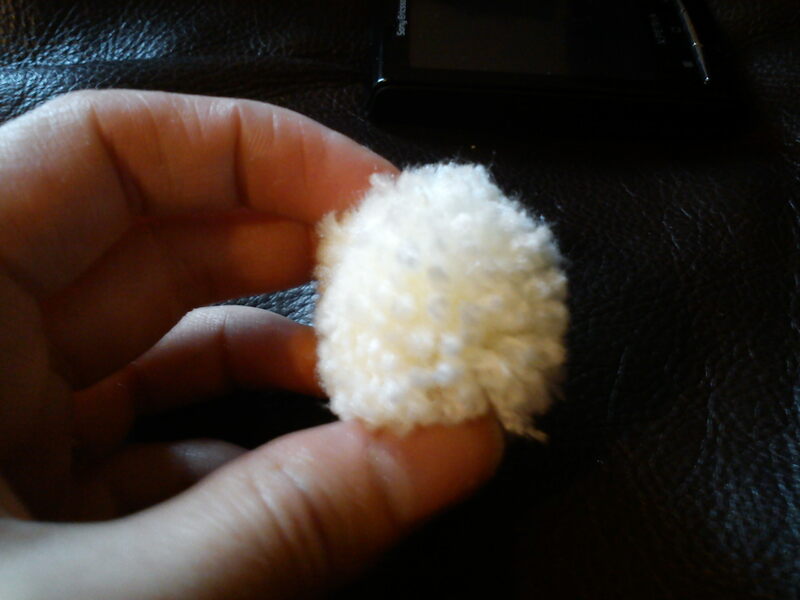 This will, as with any other pom pom need a little tidying up to make it a neat pom pom.